The MotoV8ors are a dynamic roller-coaster ride of Americana performing rockabilly and country tunes for your dancing pleasure. These 4 good ol' boys hang their hats in Melbourne and have been ripping it up all over Victoria since their inception six months ago. The MotoV8ors show features tinges of Johnny, George, Conway, Joe and Jerry, plus the twang of Hank. 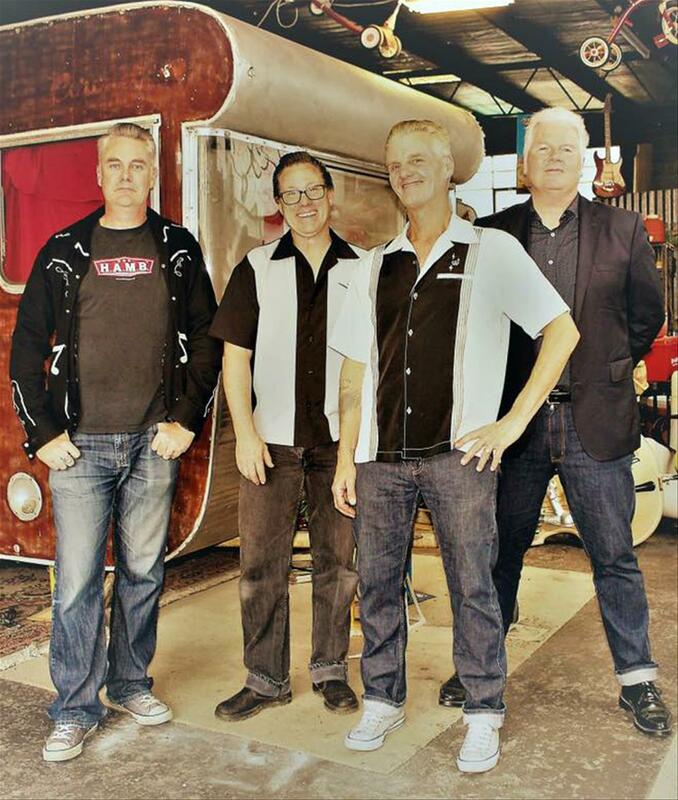 Featuring Diamond Doug Wilshire, Slappin Dan Rondeau, Colonel Shaun Havoc and Jules Matthews, the band will be touring and recording in the USA, prior to raising the roof at GreazeFest.